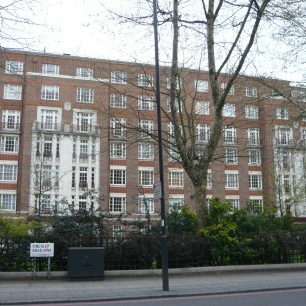 In the Thirties, St John’s Wood became a prime area for luxury flats, many of them small service flats, which were thought desirable by young married couples at the time. Most of these flats gave a passing nod to Modernist architecture but not in a threatening form that might upset middle class tenants. 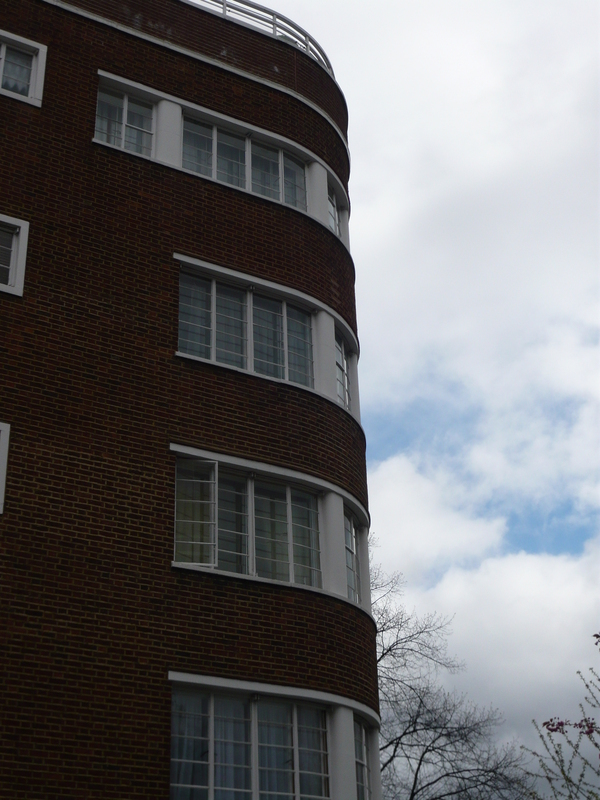 There were Art Deco features and sunbathing balconies and windows with rounded corners but not too much concrete or communal living. Because of improvements in the provision of air-conditioning and electricity, internal bathrooms were allowed for the first time, as in Oslo Court, which made planning small flats easier. 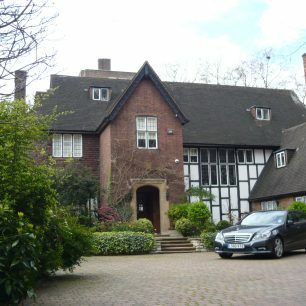 Advanced English architects may have wanted minimum possessions but that was because they wanted to be able to travel and have an exciting life style and rarely came face to face with working class people who had minimum possessions because they could not afford many things. 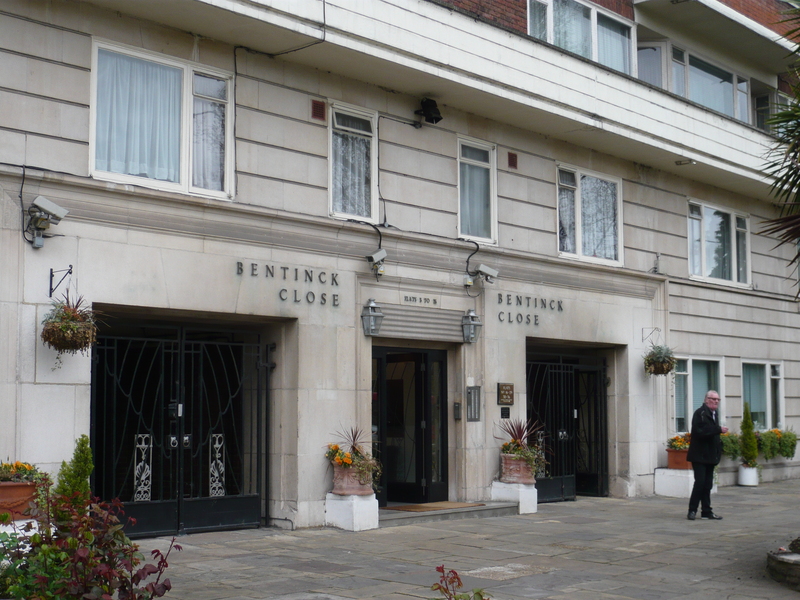 And in fact, in the case of the flats near Regents Park, developers and architects showed little social concern in getting rid of many of the houses in which local working class people lived, in order to find a large enough space for a block of flats. 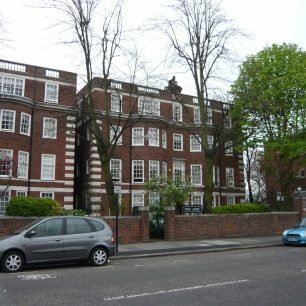 Most of the land between Primrose Hill and St John’s Wood High Street, which belonged to the Portland estate not the Eyre estate, had been filled by unprepossessing houses and workshops in the 1820s and 1830s,(Primrose Hill by Martin Sheppard 2012) and not much had improved it in a hundred years. In 1914 land north of the park had been sold to developers and for twenty five years luxury flats offering park views had been built; the final remaining 30 workmen’s cottages were removed in 1936 to enable Oslo Court 1936-38 (Robert Atkinson) to be built. 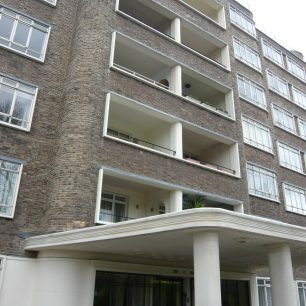 Eyre Court 1930-31 (T.P.Bennet) in Finchley Road was one of the earliest blocks to have Art Deco features and also an open courtyard in the front of the building. 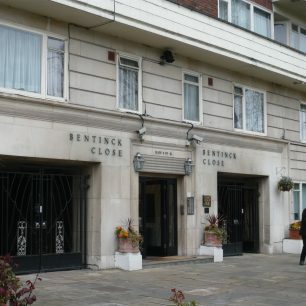 Bentinck Close (1936-38) (R.J.H.Minty) had its own garage and air raid shelter, but these were hidden in the basement. 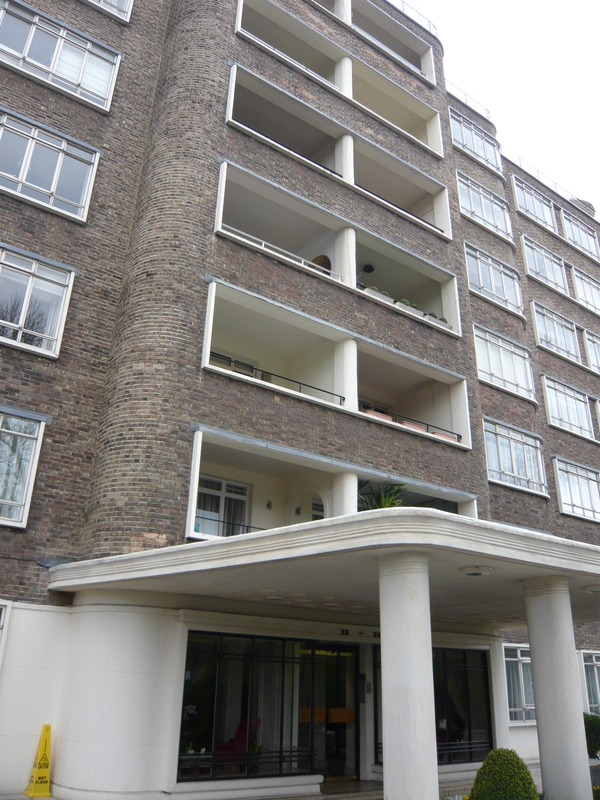 Viceroy Court (1934-36) (Marshall & Tweedy)was a luxury block with brick faced on a reinforced concrete frame, railed roof gardens and inset balconies but did no violence to the older buildings round the park edge. 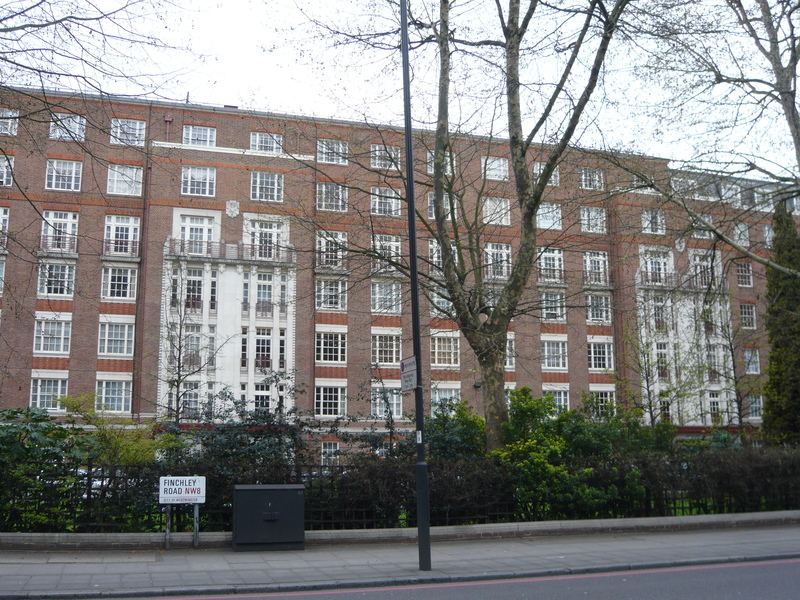 There were more conventional flats being built as well, such as Park Lodge 1933-34 (Wimperis, Simpson & Guthrie) at the top of St John’s Wood Park, where tenants still expected to find there was a bedroom and bathroom for the living-in domestic servant. But flats were not the only buildings that were going up in the area at this time. 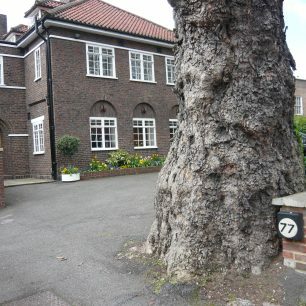 Many of the houses in Avenue Road were constructed in the 1930s. 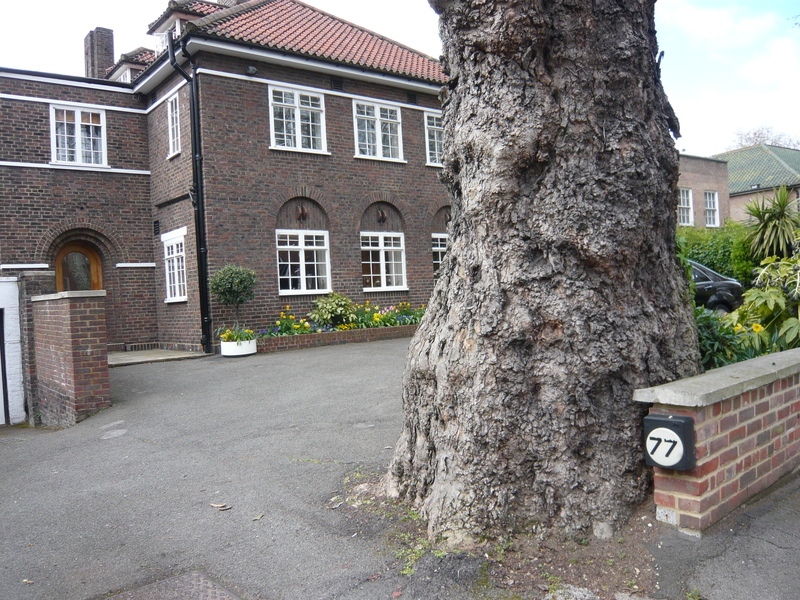 No 77 was designed by A.H.Jones in 1934 in the Art Moderne style; Jones was perhaps best known at the time for having designed the stunning art moderne interior of the cruise ship The Empress of Britain. No 85 was designed by G. Blair Imrie in an Arts and Crafts style as late as 1937. 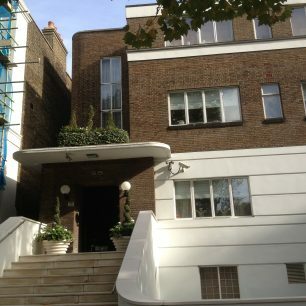 An occasional modern house can be found in St John’s Wood – notably 3-5 Cochrane Street, where David Stokes built himself a house in 1937. 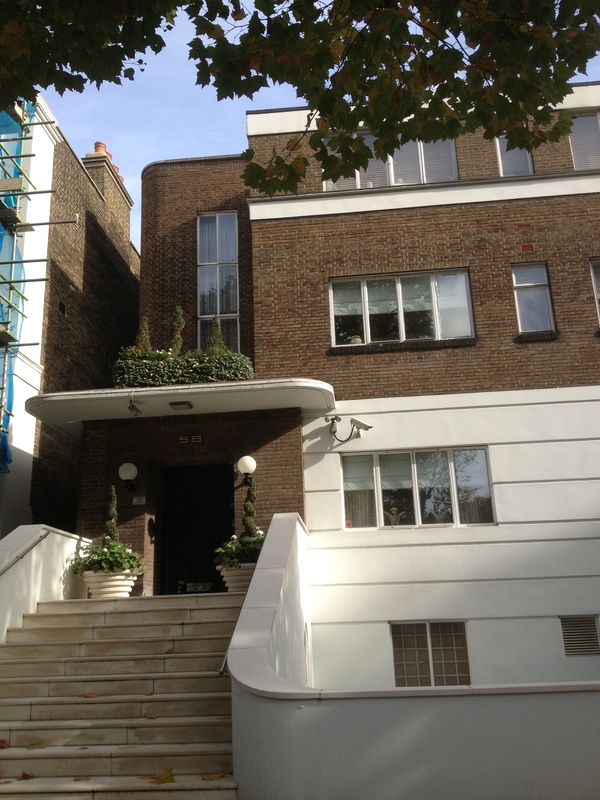 Another specially commissioned house was designed by Burnet, Tait & Lorne for the Marques and Marquesa de Casa Maury in 1937 at 58 Hamilton Terrace, which featured in the Ideal Home magazine of September 1938. 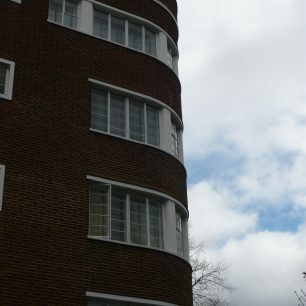 They had previously designed the terrace of houses in Wells Rise, off Prince Albert Road. 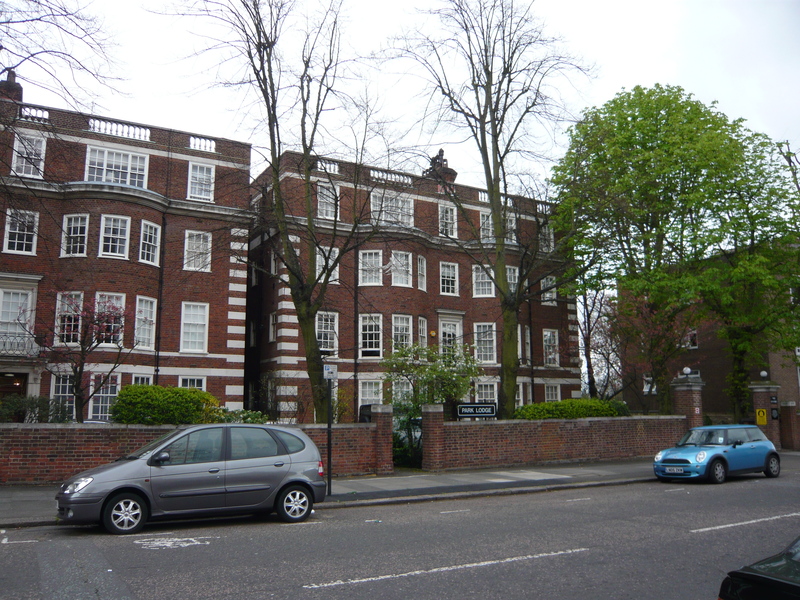 Although it was true that the houses, in what used to be called Portland Town, behind St John’s Wood High Street could be called unprepossessing, I feel this was exaggerated by the architects at the time so they could fulfil their vision of the mansion flats. The problem with the houses was the massive neglect resulting in their dilapidation by the 1930’s. 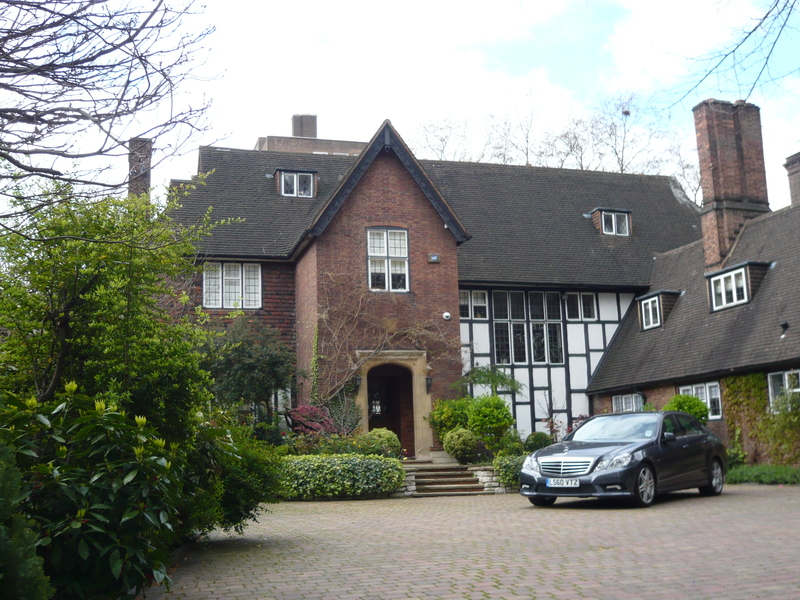 You can see very similar housing in Kensington and Camden which was saved and renovated and in Kensington, particularly, selling for several million pounds today. 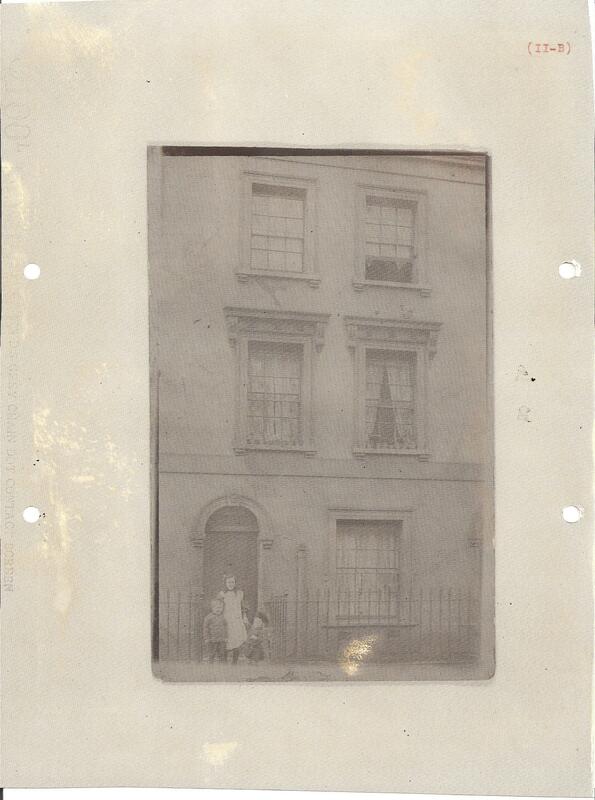 I have a photograph of my father as a small child standing outside his family home in Frederick Street (MacKennal Street). 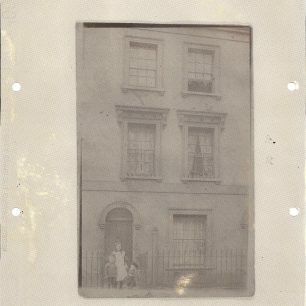 Does anyone have any similar photographs of these lost streets?